Logic 6th Form students achieve top grades in their Extended Project Qualification which is much valued by universities. 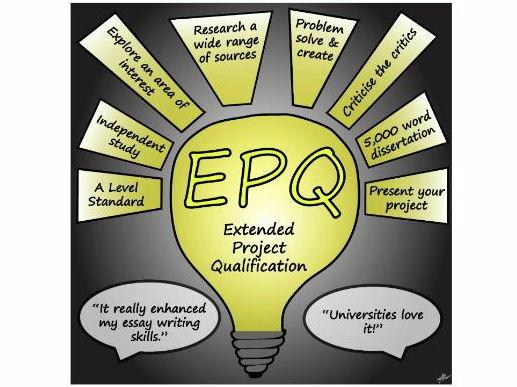 Seventeen of our Year 13’s have recently completed the Extended Project Qualification. This involved undertaking a huge amount of independent research on a topic of their choice, writing 5,000 words on this topic and delivering a presentation. This was a huge achievement with some fantastic results. The students gave a very positive reflection of their exercise – they gained independence in their learning. They also developed a huge range of different skills that will be vital when applying for and attending university. We have a broad range of topics covering Brexit, Veganism, The Great Fire of London, The Bible, 10,000 hour rule, The Law of Attraction, Motorsports, Feminism and the Role of social media. I was incredibly proud to oversee these projects develop from initial ideas to extended projects. The students should be very proud of their achievement.